Assessments provide information about what students know or are able to, and teachers can perform assessments before, during, and after instruction. At their best, assessments can help teachers improve students' learning by uncovering areas of misunderstanding or lack of understanding. To report on assessment data, grading assigns values to the results as a record of students' ability, achievement, or progress. It's important to note that assessments aren't always used for grading purposes. EL Takeaways: Seven Things to Remember About Feedback (PDF) from the collective wisdom of authors published in the September 2012 issue of Educational Leadership: “Feedback for Learning.” (Volume 70, Issue 1). Hear what ASCD's authors and experts have to say about assessment and grading. 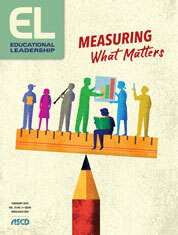 The authors in the February 2018 issue of Educational Leadership® magazine provide a range of practical ideas for recalibrating educational measurement so that it is more responsive to teachers' needs and more reflective of authentic learning. 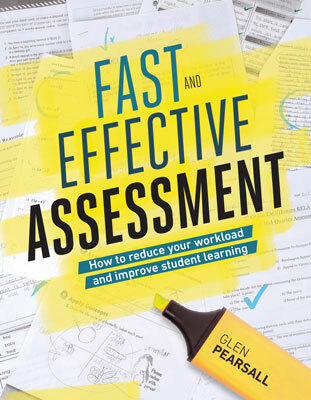 Author Glen Pearsall shares dozens of classroom-tested strategies that lessen teachers' workload while increasing students' class participation and improving their understanding. More books about assessment and grading. ASCD Quick Reference Guides cover fundamental education topics in a handy format that's perfect for time-pressed study groups or individuals. Written by recognized experts, the guides are packed with instructional tips and solutions that you can put into practice right away. Peer feedback can play a powerful role in learning and teaching. Peer feedback gives students control over their learning, increases their engagement and self-awareness as learners, and frees up the teacher to provide targeted support where it's needed. Check out these resources about the benefits of and how to implement peer feedback in your classroom. Rethinking Grading for Standards-Based Learning with Cathy Vatterott (August 6, 2015) Member-only webinar requires log-in. ASCD's award-winning PD Online® courses are interactive, in-depth, and self-paced online professional development courses for educators designed for both individual and group study. PD In Focus® is an award-winning online platform that features hundreds of hours of videos showing research-based teaching practices in action. All PD In Focus videos are organized into channels guided by widely recognized experts. ASCD myTeachSource® offers classroom-focused topic packs featuring teacher-driven articles, videos, checklists, rubrics, reproducibles, links, and more that you can easily implement today. ASCD Streaming delivers trusted professional learning to your laptop or tablet. Selected titles are also available on DVD. ASCD Faculty members are available for on-site capacity-building professional development on assessment and grading. ASCD can design a precise professional development plan, organized around our field-tested solutions, with a focus on the education foundations that make sense for you. ASCD Conferences, One-, Two-, and Three-Day Institutes, and other special events frequently feature sessions about assessment and grading.